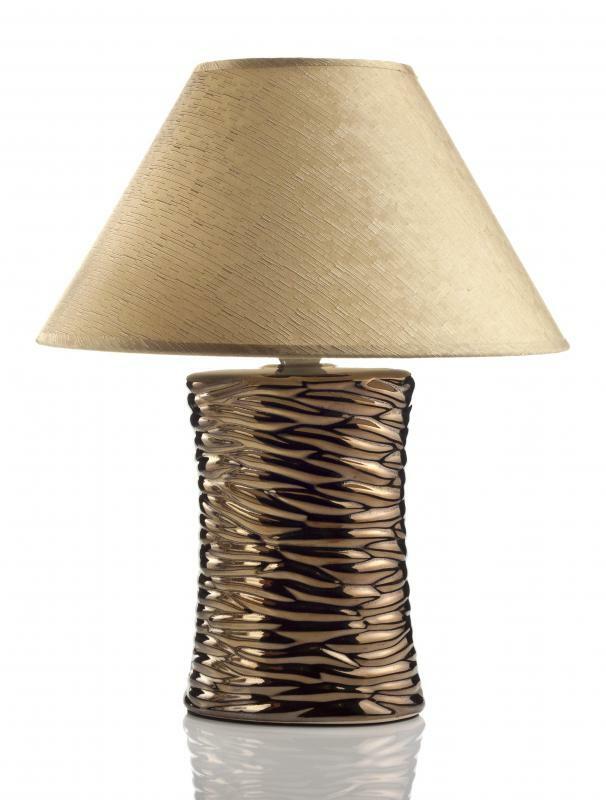 An incandescent bulb can be used in table lamps. 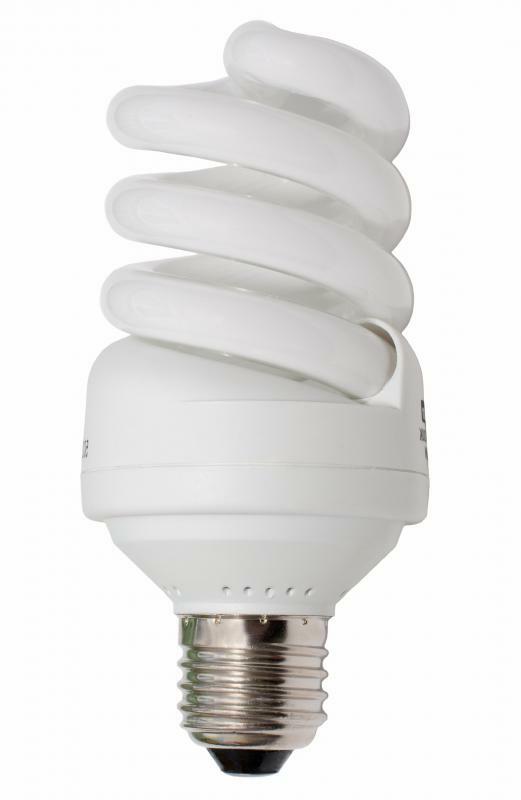 CFLs use less energy than incandescent light bulbs. 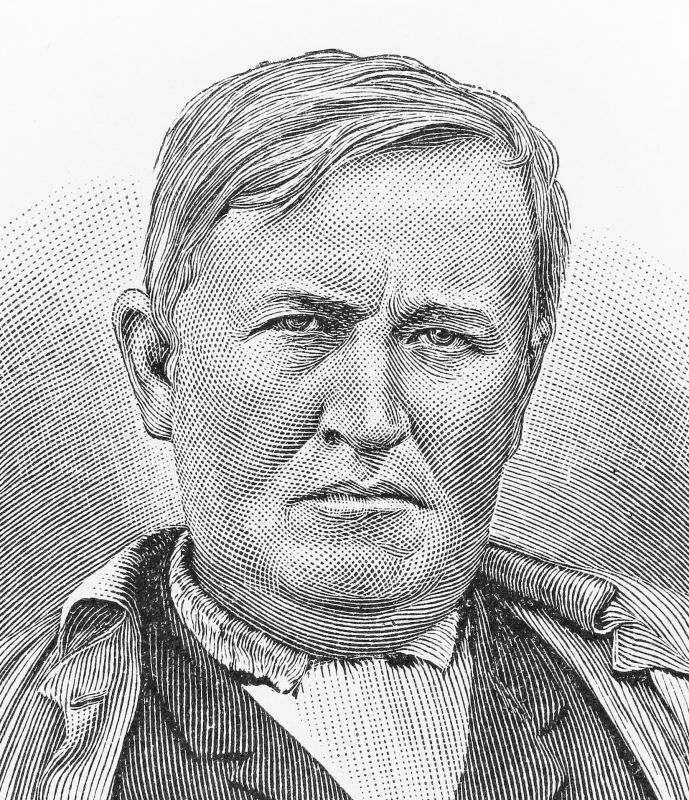 In 1879, inventor Thomas Edison patented his incandescent bulb. If you've never given much thought to what type of lighting you have in your home, you're not alone. Since Thomas Edison filed for a patent on his incandescent bulb in 1879, this has been the lighting method of choice around the world. However, with all the recent talk about the importance of energy efficiency, many people have been left wondering if incandescent bulbs are truly the best option. Used in everything from table lamps to electric flashlights, incandescent bulbs can be purchased in sizes ranging from 1.5 to 300 volts. They work well with either alternating current or direct current. An incandescent bulb also has a fairly low manufacturing cost, which is the primary reason why these bulbs have remained so popular. Unfortunately, an incandescent bulb is not the most energy-efficient choice. Compact fluorescent lightbulbs (CFLs) are four to six times more efficient than a comparable incandescent bulb. In fact, studies have show that switching to CFL bulbs can lower your utility bill by approximately 12%. And, since CFL bulbs work in most fixtures, you won't even need to invest in new lamps. Related to energy efficiency is the concern about the environmental impact of lighting choices. CFL usage is good for the environment because these bulbs help reduce the need for electricity produced by burning fossil fuels. Switching your current incandescent bulbs to CFLs is one easy way to help reduce the impact of global warming. Another factor to consider when choosing to use an incandescent bulb is the heat generated by your lighting. Because they do throw off a fair amount of heat when in use, incandescent bulbs are used in applications ranging from the popular Easy-Bake® oven toy to the heating units in reptile tanks. In cold climates, the heat incandescent bulbs produce can slightly lower your energy costs by keeping your home warmer. In warm climates, however, the heat increases the need for a building's air conditioning system. The final factor to consider when selecting lighting for your home is the proper disposal of used bulbs. An incandescent bulb that no longer works can simply be thrown away with the rest of your household trash. CFL bulbs contain mercury, so they should be disposed of in accordance with your area's hazardous waste regulations. If a CFL bulb is broken, it should be kept in a sealed glass jar to minimize the danger of mercury contamination in the surrounding area. What Is a Tungsten Filament? Are Incandescent Light Bulbs Energy Efficient? What is a Halogen-CFL Bulb? What Happened on December 31? @w00dchuck41 - I love the new colored CFLs. They remind me of the carnivals that comes through town on occasion. My son loves using them in his room. He's at that age where boys like red, so he has red CFLs in his room. My only complaint with the CFLs is that they produce a lot of ultra violet light compared to incandescent lights. I know that it isn't much, but I'm keeping an eye on research on it. CFLs are still cheaper than incandescent lights, but we still have a few of the old incandescent bulbs in our house. @Jacques6 - You have a lot of good points about CFLs there, but they usually come in cold and warm lighting styles. I was reluctant to change over to CFLs too -- I was worried that they would look like the old flickering bathroom warehouse lights. The truth is, CFLs are nothing like the old fluorescent lights. They don't flicker, they come in warm tints and they aren't just for creepy old warehouses. You should give the warm yellow tinted CFLs a try. If you're worried about saving on energy for heating and lighting -- CFLs can help a lot. As w00dchuck41 said, it's probably cheaper in the long run to get rid of the incandescent lights. @Jacques6 - Since you're using incandescent lighting to lower your heating bills -- you might want and see if that's really the case. Switching to CFLs might actually save you money -- the incandescent light bulbs are energy hogs. Heating your house might be cheaper in the long run. There are warm CFL lights out there -- your just have to look for them. You can get colored ones, as in bright red or bright yellow, or ones that are just tinted yellow to make their lighting warmer. If you want to keep your house nice and cozy with warm lighting -- it is still possible with CFLs. I never liked CFL light bulbs -- they're too bright and cold. 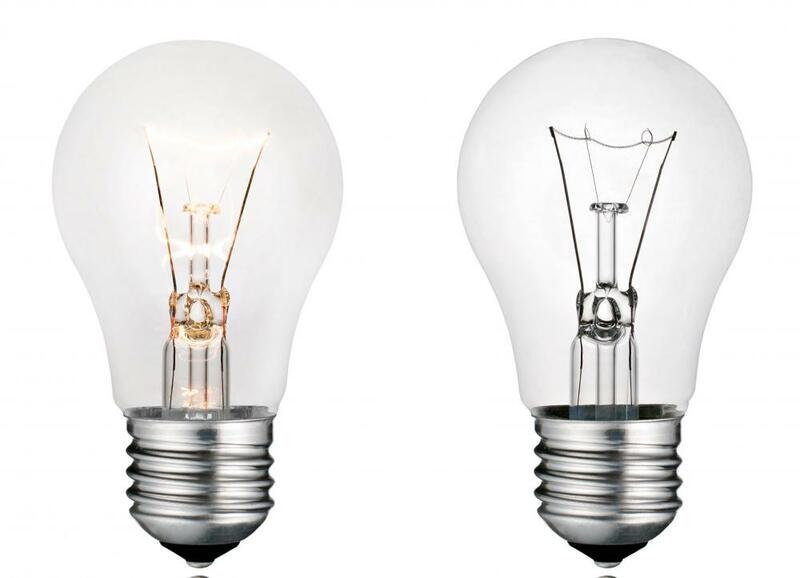 Older bulbs have more of a candle-like lighting style, the CFLs are really white -- no warmth at all. Incandescent light bulbs aren't as power efficient it's true -- but who wants to live in a shockingly bright white cold house? I've always used incandescent bulbs to lower my heating bill and make my house look warm and cozy. Of course, the city has given me new light bulbs for my house. I use the CFL lights in rooms that I don't spend a lot of time in, like my garage. I suppose they work for that -- but I want my living room to be lit with warm lights.